THE WHITE POLICEMAN who shot dead an unarmed black teenager in the St Louis suburb of Ferguson has resigned, but it failed to deter angry protesters demanding justice and reform. Darren Wilson has left the force citing fears for the safety of local residents and fellow police officers, according to a letter published by local media yesterday. Wilson wrote in his letter that “it is my hope that my resignation will allow the community to heal”. A grand jury decision on Monday not to charge Wilson in connection with the August 9 shooting death of 18-year-old Michael Brown touched off days of sporadic violence in Ferguson as well as demonstrations in several major cities across the United States. The decision revived long-standing questions about how police, especially white officers, interact with African Americans — questions raised again after last week’s shooting in Cleveland of 12-year-old Tamir Rice. “It was my hope to continue in police work, but the safety of other police officers and the community are of paramount importance to me,” the letter from the 28-year-old Wilson said. Dozens of demonstrators again gathered outside Ferguson police station despite his decision to quit, with protesters setting fire to a US flag and jeering at police officers. There was also a brief standoff outside a bar between demonstrators and riot police before organizers moved protesters along. A core group of about 100 marchers, many from other US states, set out on a 192-kilometer “Journey for Justice,” heading from Ferguson – a mainly black suburb — to the Missouri state capital Jefferson City. The marchers, organized by the National Association for the Advancement of Colored People (NAACP), are demanding the sacking of the Ferguson police chief, nationwide police reforms and an end to racial profiling. Email “The police officer who shot Michael Brown has resigned”. 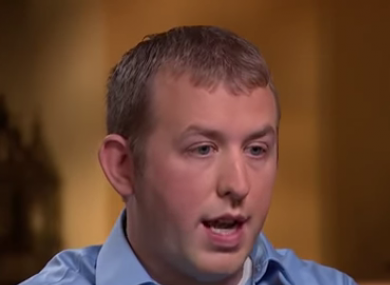 Feedback on “The police officer who shot Michael Brown has resigned”.